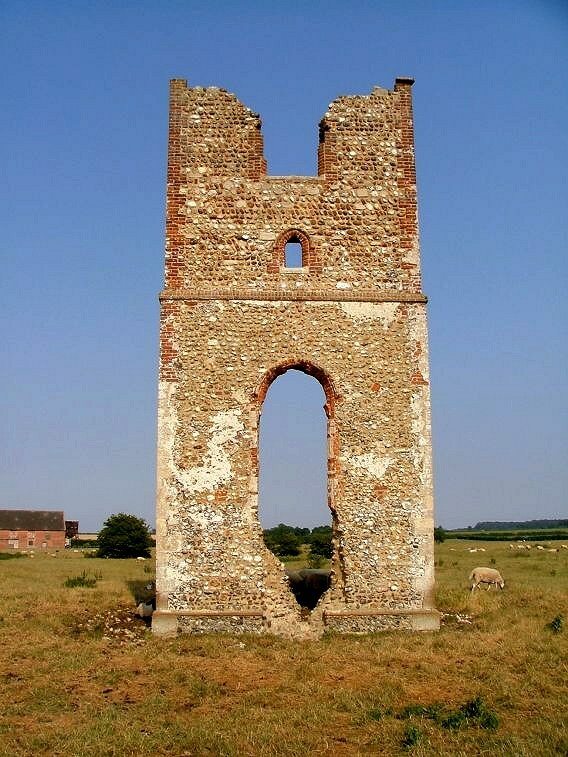 North-west Norfolk has the highest concentration of ruined churches in England, but the story of All Saints is a well-documented one, and rather different to that of some of its neighbours. 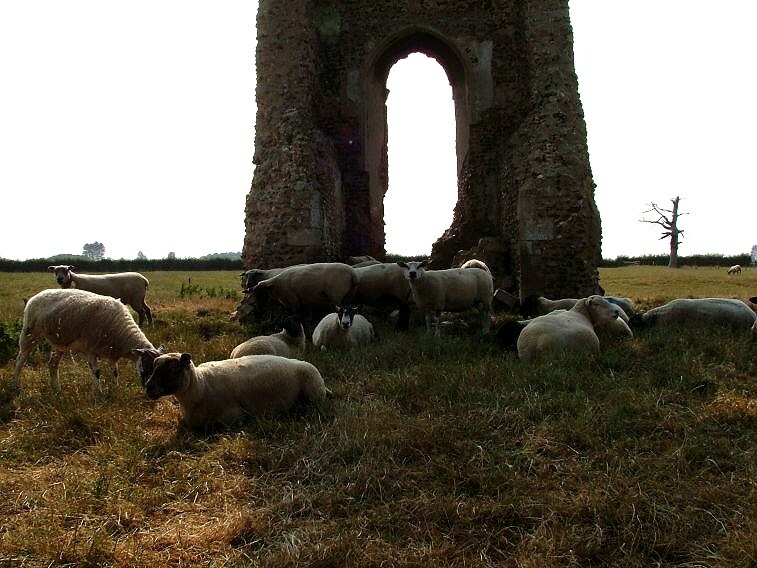 Somewhat rarer than ruined churches are lost villages, and Godwick is one of them. 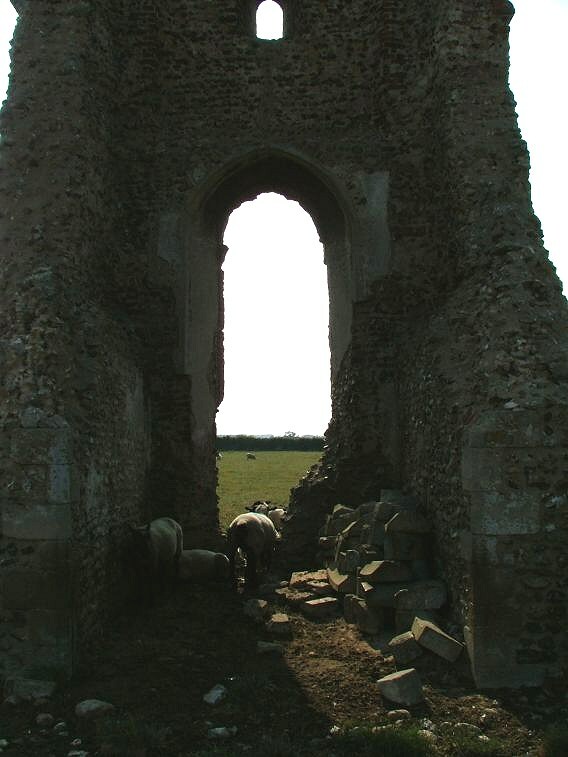 It has been patiently excavated by Norfolk County Council archeology team, and you can now walk around and explore the ridges that denote where the houses were, and the sunken lanes which lead through the village to the church. The village streets seem to have clustered to the east of the church, and the whole site is at once fascinating and attractive - it is just to the north of the village of Tittleshall. 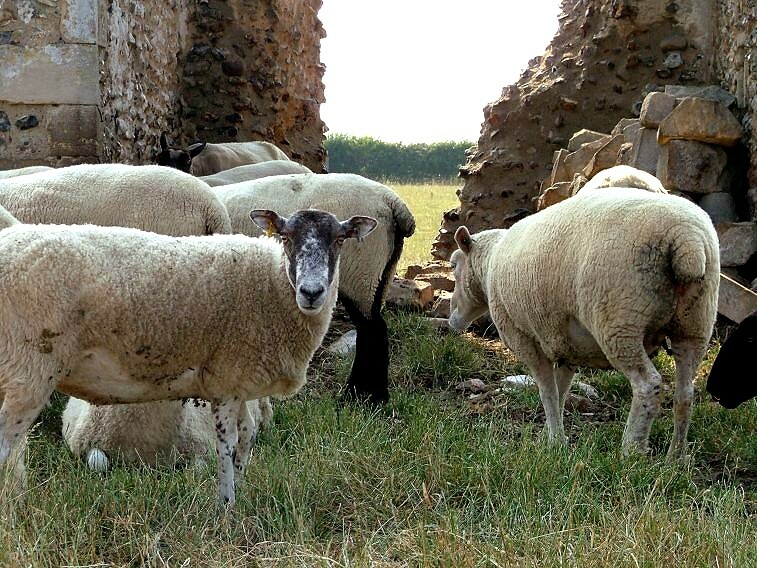 Godwick had a church at Domesday, but probably never recovered from the agricultural depressions of the early 14th century, and it was bought by the Coke family in 1580 as a part of the massive expansion of their empire. 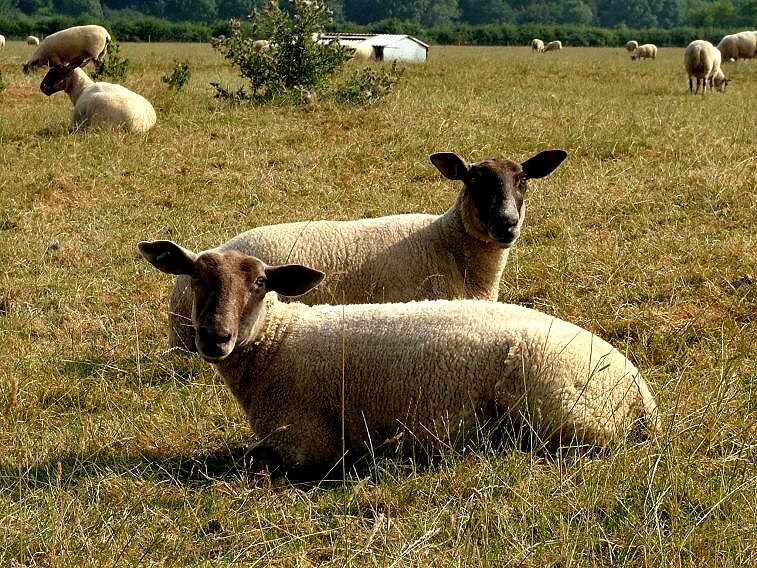 They used it for grazing sheep, the use to which it is still put today. 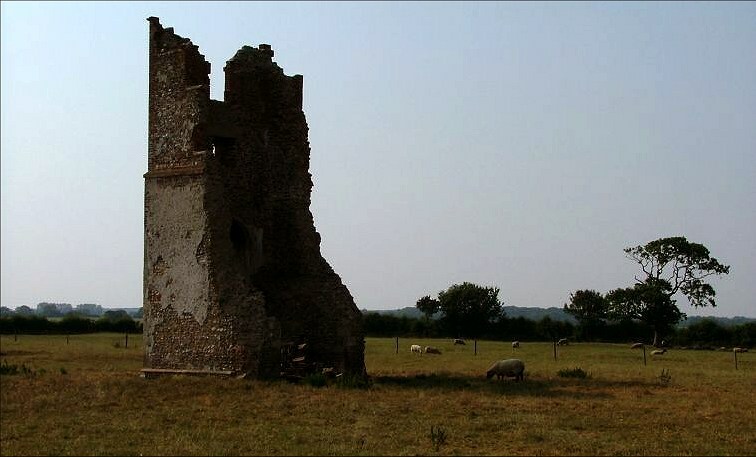 The village appears on an estate map in 1596 with just four houses, and, interestingly, an abandoned church, because after the Reformation there had been no need for it. 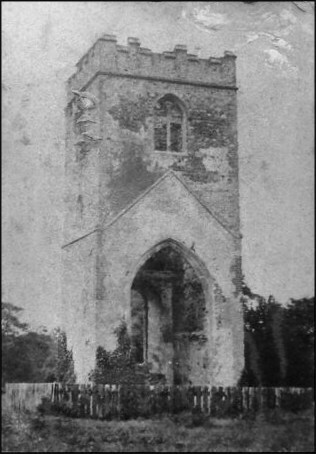 By the end of the 16th century, the tower had collapsed. 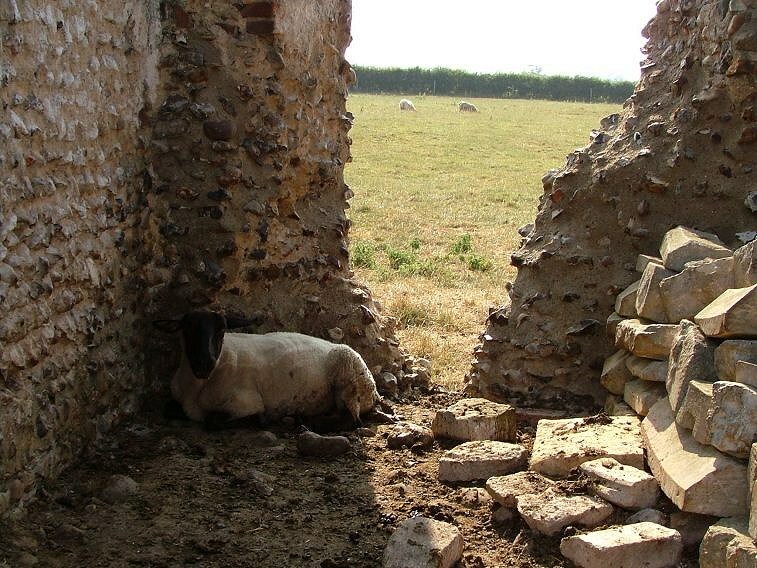 However, in the following century, the fashion for follies led to a feature being made of the ruins. 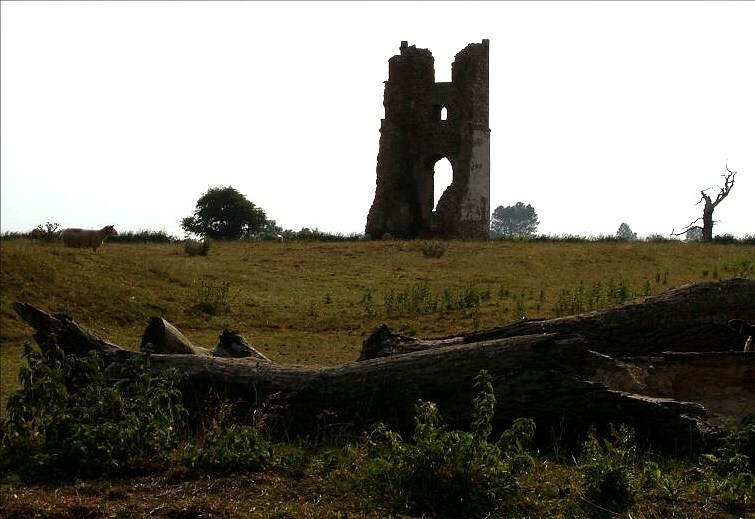 Sir Edward Coke had built the massive pile of Godwick Hall in 1585, a grand Elizabethan manor which would survive, incredibly, until demolition in 1962. 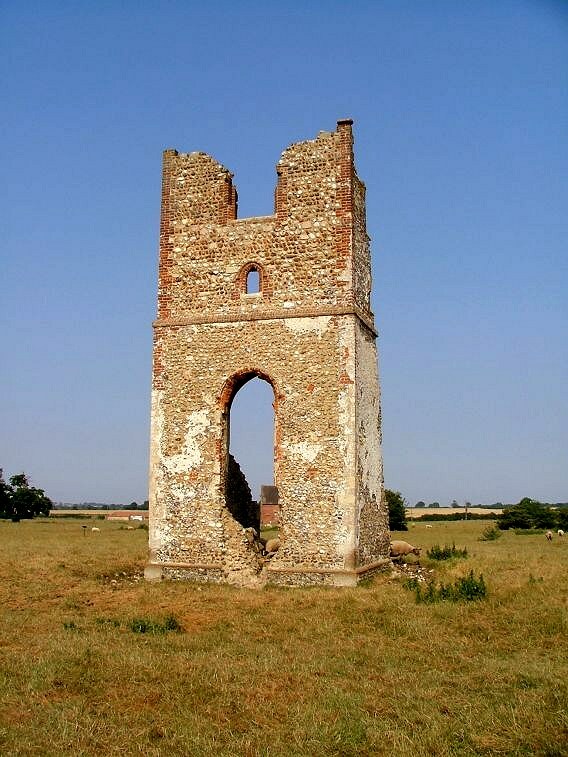 The ruined church, on its prominent site a few hundred metres to the west of the Hall, was completely demolished and the tower alone was rebuilt in red brick , which must have looked very fine from his bedroom window. 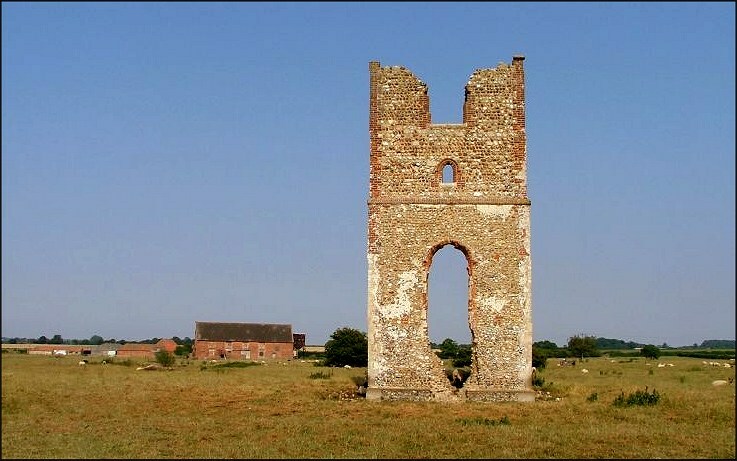 The estate was part of Tittleshall parish, where many Coke memorials remain, and so All Saints was not needed as a working church, merely as an adornment to the landscape. 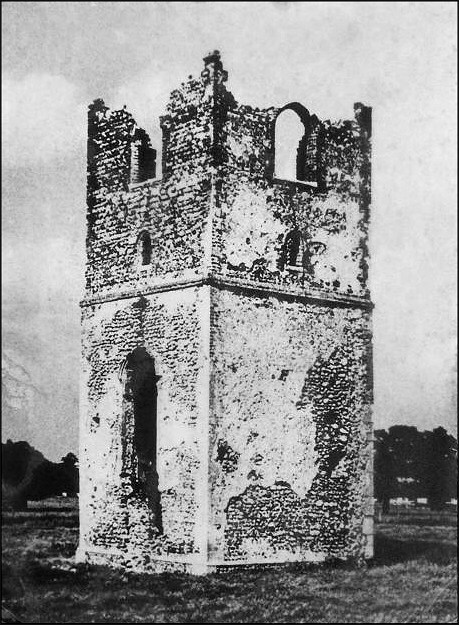 The tower seems to have been pretty well intact in the 1920s, retaining its battlemented stage, but this had gone by the time it was photographed in the late 1970s, and the east face of the tower finally collapsed in a storm in the winter of 1981. You can see copies of these photographs on the left. 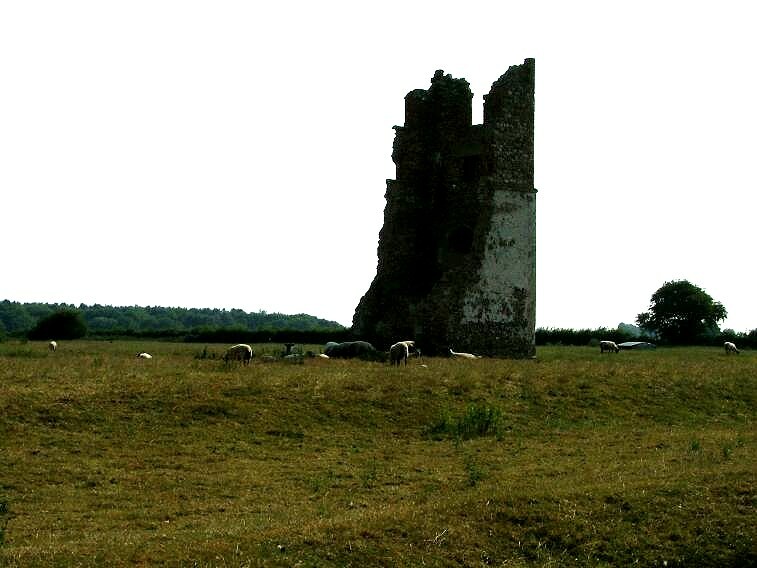 Today, this is a beautiful place to wander, and we came here on one of the hottest days of July 2006. 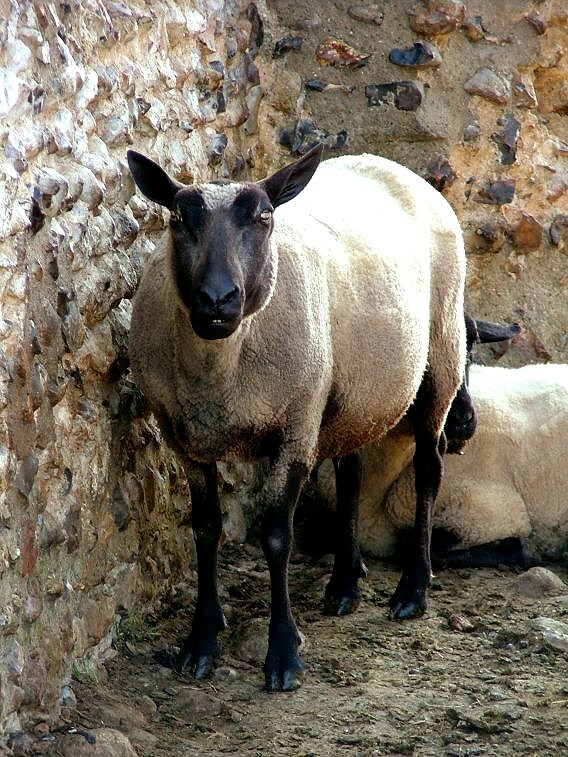 The sheep were in no mood to make a great fuss about our presence, watching us with mild interest as we explored. 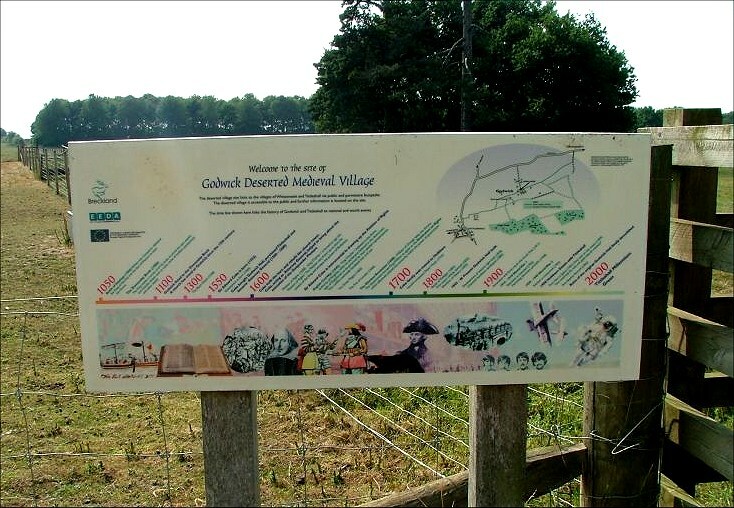 The site is signposted with information boards, but these are not intrusive. 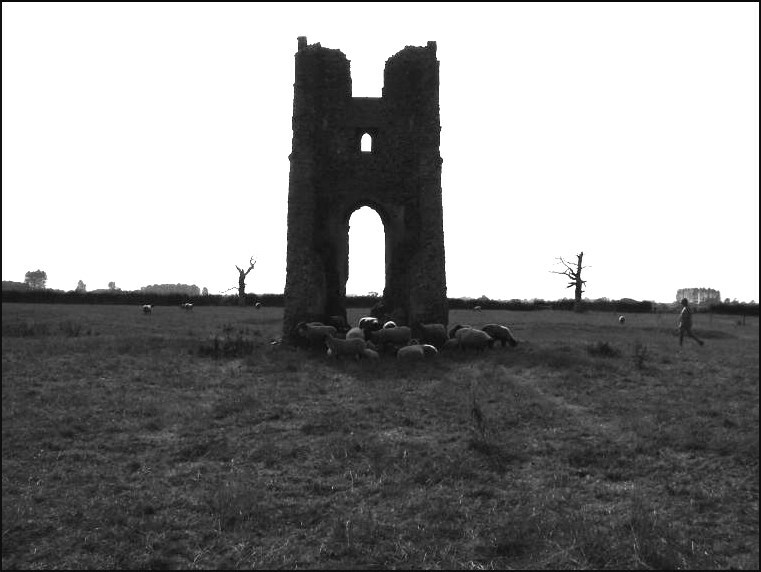 It is haunting to wander along the village street, and the tower itself recalls to mind Norfolk village churches which survive, and still serve communities which were little different from Godwick half a millennium ago.